The Entertainment World: CCL-2 gets bigger and better .100 Heroes, 6 film industries, 1 Platform. CCL-2 gets bigger and better .100 Heroes, 6 film industries, 1 Platform. 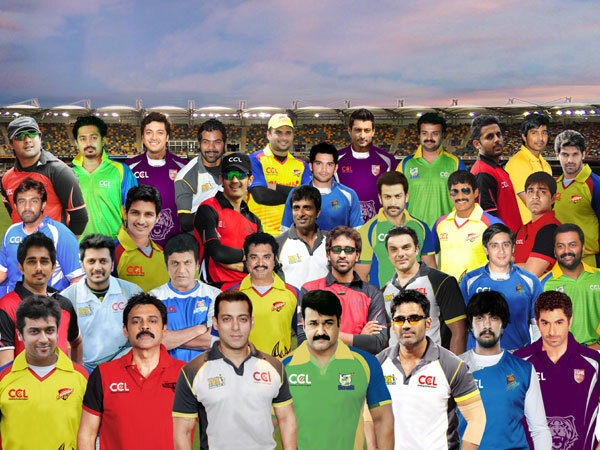 With the superstars of the South and Bollywood taking to the cricket fields, the first season of Celebrity Cricket League enthralled both the cinema and cricket frenzy audiences. This sensational mixture has left them asking for more. CCL-2 is back in action, and this time it gets bigger and better. If the first season saw 4 teams slug it out for the title, Season II gets bigger with the addition of 2 more teams – the Bengal and Malayalam film industries. CCL is the only platform where the regional stars will reach out to national audience and the nationally renowned stars connect more strongly with their regional audience. Owned by eminent film producer Boney Kapoor and the gorgeous Sridevi, the Bengal film industry’s Bengal Tigers will be mentored by former Indian Captain Saurav Ganguly and led by prominent actor Jeet. Also joining them will be Kerala Strikers of the Malayalam film industry owned by National Award winning actor Padmashree Lt. Col. V. Mohanlal and one of cinemas’ most successful business women, Lizzy Priyadarshan. After the roaring success of the CCL Season I and the vast reach it managed to achieve, we have decided to take Season II to an international destination that’s home to a large Indian Diaspora. The iconic Sharjah Cricket Stadium has been selected to host the grand opening ceremony of CCL Season II. The explosive multi-starrer action entertainer will take off on 13th Jan at Sharjah with Mumbai Heroes playing in their home ground against the defending champions Chennai Rhinos. Kick starting the frenzy will be the Curtain Raiser to be held on 19th December at HICC, Novotel Cyberabad. The event will unveil 100 heroes from the 6 film industries who will be part of Season II – a first in the history of Indian cinema. The likes of Salman Khan, Bobby Deol, Suneil Shetty, Venkatesh, Mohan Lal, Shivraj Kumar, Sudeep, Surya, Jeet will scorch the ramp along with gorgeous divas Sonakshi Sinha, Kangana Ranaut, Genelia, Shriya Saran, Richa Gangopadhyay, Charmee, Sameera Reddy, Lakshmi Rai representing 6 Different Film Industries on one platform. Former Femina Miss India and well-known actress Neha Dhupia will host this limelit evening. The event will also have scintillating performances by 6 Actresses representing their respective industries. Adding the oomph factor to the proceedings will be the launch of “Girls of CCL 2012” Calendar which will be graced by some of the hottest faces from the film fraternity. The shoot for the calendar is currently in progress at Goa with 16 actresses who are part of CCL.